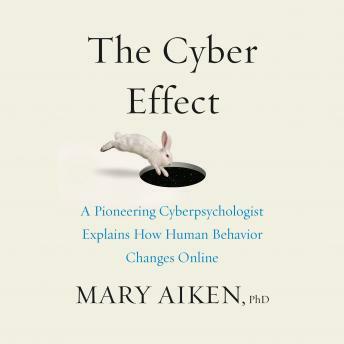 Mary Aiken, the world’s leading expert in forensic cyberpsychology, offers a starting point for all future conversations about how the Internet is shaping development and behavior, societal norms and values, children, safety, privacy, and our perception of the world. Drawing on her own research and extensive experience with law enforcement, Aiken covers a wide range of subjects, from the impact of screens on the developing child to the explosion of teen sexting and the acceleration of compulsive and addictive behaviors online. Aiken provides surprising statistics and incredible-but-true case studies of hidden trends that are shaping our culture and raising troubling questions about where the digital revolution is taking us.